Sharks constantly replace lost teeth, often growing over 20,000 teeth throughout their lifetimes. How can we translate these near-superpowers to humans? The answer: through the cutting-edge innovations of regenerative medicine. Investors pumped over $13 billion into regenerative medicine in 2018, promoting over 1,000 clinical trials that year. While Big Data and Artificial Intelligence transform how we practice medicine and invent new treatments, regenerative medicine is about replenishing, replacing and rejuvenating our physical bodies. Imagine your stem cells as a team of repairmen in your newly constructed mansion. When the mansion is new and the repairmen are young, they can fix everything perfectly. But as the repairman age and reduce in number, your mansion eventually goes into disrepair and finally crumbles. Many scientists and physicians now prefer an alternative source, obtaining stem cells from the placenta or umbilical cord, the leftovers of birth. 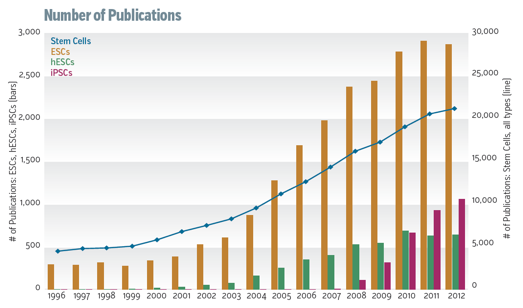 Over the last decade, the number of publications per year on stem cell-related research has increased 40x. The stem cell market is expected to increase to $170 billion by 2020. Rising R&D initiatives to develop therapeutic options for chronic diseases and growing demand for regenerative treatment options are the most significant drivers of this budding industry. Biologists led by Kohji Nishida at Osaka University in Japan have discovered a new way to nurture and grow the tissues that make up the human eyeball. The scientists are able to grow retinas, corneas, the eye’s lens and more, using only a small sample of adult skin. In a Stanford study, seven of 18 stroke victims who agreed to stem cell treatments showed remarkable motor function improvements. This treatment could work for other neurodegenerative conditions such as Alzheimer’s, Parkinson’s and ALS. Doctors from the USC Neurorestoration Center and Keck Medicine of USC injected stem cells into the damaged cervical spine of a recently paralyzed 21-year-old man. Three months later, he showed dramatic improvement in sensation and movement of both arms. In 2019, doctors in the U.K. cured a patient with HIV for the second time ever thanks to the efficacy of stem cells. After giving the cancer patient (who also had HIV) an allogeneic haematopoietic (e.g. blood) stem cell treatment for his Hodgkin’s lymphoma, the patient went into long-term HIV remission — 18 months and counting at the time of the study’s publication. In 2017, Dr. Bob Hariri and I announced a new company called Celularity. Celularity is built on 20 years of research conducted by Dr. Hariri and his team on the placenta, its cells and tissues. Decades ago, he recognized the power of the placenta, what I often describe as the 3D printer that creates an embryo. He set out to harness the power of placental cells to augment our biology, immunity and longevity. You can learn more about Celularity’s transformative work here. Every 10 minutes, someone is added to the U.S. organ transplant waiting list, totaling over 113,000 people waiting for replacement organs as of January 2019. As a result, 35 percent of all U.S. deaths (~900,000 people) could be prevented or delayed with access to organ replacements. 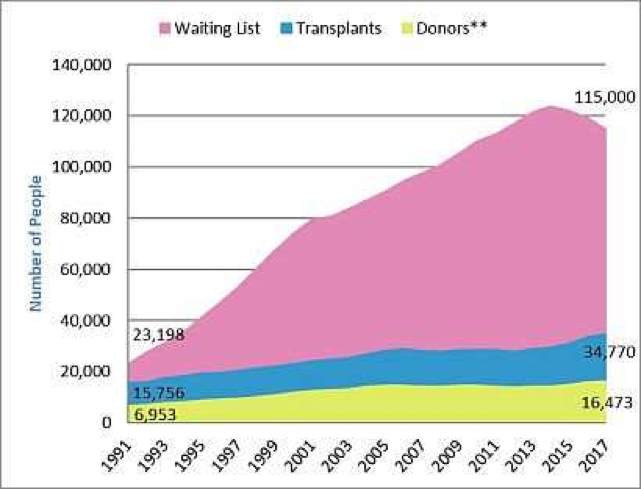 Figure: The organ transplant waiting list is growing significantly faster than the number of transplants and available donors. Gradually, the object being printed is lowered and new layers are added. The printer can currently lay down collagen at a resolution of around 20 micrometers but will need to achieve resolution of a micrometer in size to make the lung functional. In 2018, Harvard University experimental surgeon Harald Ott reported that he pumped billions of human cells (from umbilical cords and diced lungs) into a pig lung stripped of its own cells. When Ott’s team reconnected it to a pig’s circulation, the resulting organ showed rudimentary function. 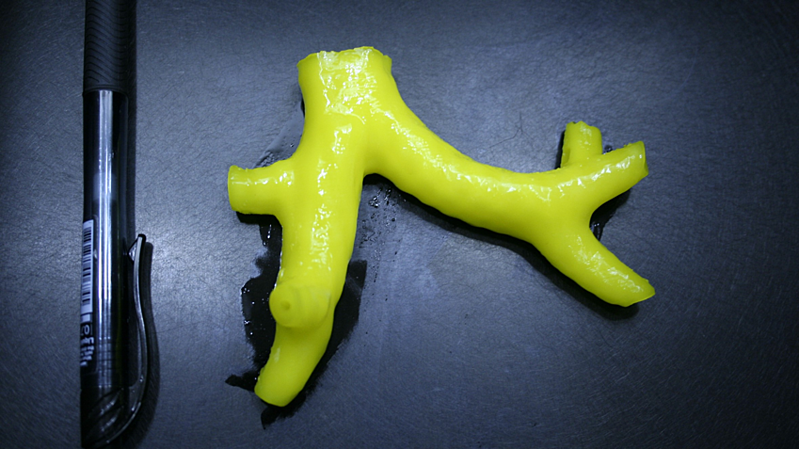 Figure: 3D printed structure mimicking part of a human airway. To accomplish this goal, United Therapeutics made a series of investments in companies such as Revivicor Inc. and Synthetic Genomics Inc., and signed large funding agreements with the University of Maryland, University of Alabama, and New York-Presbyterian/Columbia University Medical Center to create xenotransplantation programs for new hearts, kidneys and lungs, respectively. Rothblatt hopes to see human translation in three to four years. In preparation for that day, United Therapeutics owns a 132-acre property in Research Triangle Park and built a 275,000-square-foot medical laboratory that will ultimately have the capability to annually produce up to 1,000 sets of healthy pig lungs — known as xenolungs — from genetically engineered pigs. Beyond 3D printing and genetically engineering pig lungs, Rothblatt has already begun implementing a third, near-term approach to improve the supply of lungs across the U.S.
Only about 30 percent of potential donor lungs meet transplant criteria in the first place; of those, only about 85 percent of those are usable once they arrive at the surgery center. As a result, nearly 75 percent of possible lungs never make it to the recipient in need. In 2016, United Therapeutics invested $41.8 million in TransMedics Inc., an Andover, Massachusetts company that develops ex vivo perfusion systems for donor lungs, hearts and kidneys. 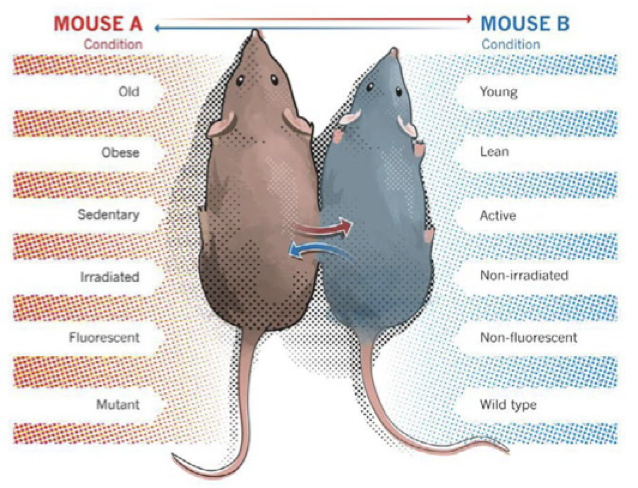 The opposite is also true: young animals, when transfused with the blood of older animals, experience accelerated aging. But capitalizing on this virtual fountain of youth has been tricky. One company, a San Francisco-based startup called Ambrosia, recently commenced one of the trials on parabiosis. Their protocol is simple: Healthy participants aged 35 and older get a transfusion of blood plasma from donors under 25, and researchers monitor their blood over the next two years for molecular indicators of health and aging. Ambrosia’s founder Jesse Karmazin became interested in launching a company around parabiosis after seeing impressive data from animals and studies conducted abroad in humans: In one trial after another, subjects experience a reversal of aging symptoms across every major organ system. "The effects seem to be almost permanent," he said. "It's almost like there's a resetting of gene expression." 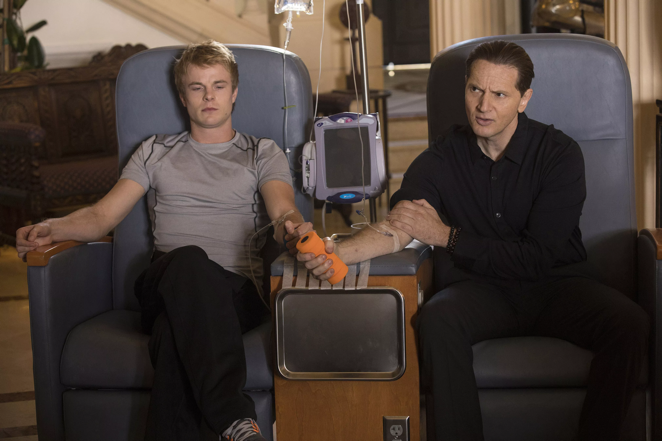 Infusing your own cord blood stem cells as you age may have tremendous longevity benefits. Following an FDA press release in February 2019, Ambrosia halted its consumer-facing treatment after several months of operation. One example: A naturally occurring molecule known as “growth differentiation factor 11,” or GDF11, when injected into aged mice, reproduces many of the regenerative effects of young blood, regenerating heart, brain, muscles, lungs and kidneys. “A new branch of medicine will develop that attempts to change the course of chronic disease and in many instances will regenerate tired and failing organ systems." Since then, the powerful regenerative medicine industry has grown exponentially to over $28 billion in 2018. And this rapid growth is anticipated to continue, surpassing $80 billion by 2023.